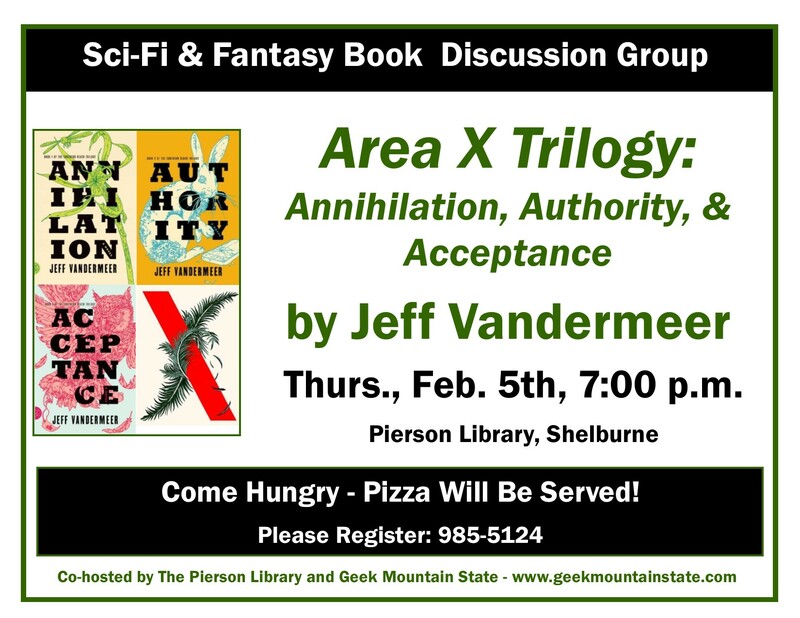 This book club meeting will take place on Thursday, February 5th, 2015 at the Pierson Library. Meeting time is 7:00pm. The Southern Reach Trilogy is available as individual titles, and as an omnibus edition. Looking ahead to March 2015, we’ll be talking about John Scalzi’s Lock In.